You may have a specific project or application that requires a customized LCD display, but you’re hesitant about going down this path because of preconceived notions you may have. Forget what you’ve heard. We’re here to set the record straight about some common misconceptions about LCD displays. The MOQ for each build is between 500 and 1,000 pieces. Sometimes, with specific color TFT projects, this can be up to 2,000 pieces. Thus, MOQ isn’t really as bad as you would think. Often your supplier can even spread out the deliveries of a 2K order over a period of 6 months to a year. The hard facts are; if you’re running between 5,000 and 10,000 of any kind of product, there’s almost always an opportunity to improve by going custom. This is either in unit price reductions, better integration and assembly, or overall product improvement. And it’s all because the display solution is customized and optimized to your exact application needs. Surprisingly, there hasn’t been a significant lowering of MOQ for LCD displays in recent years. 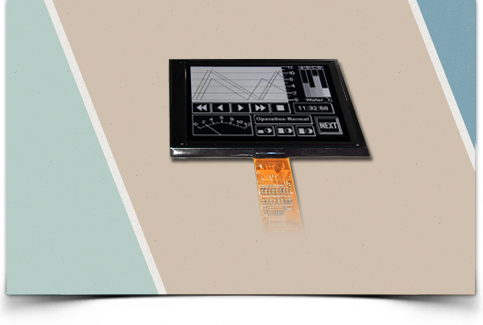 However, there has been an expansion in what standard options are available, such as more capacitive touch panel options and color TFT platforms. Industry-standard lead times are typically 8 to 12 weeks, including build and shipping time. Of course, PDI also works with customers that need their orders expedited. Like the MOQ, lead times haven’t gone down much over the last 5 to 10 years. Not that this is a bad thing since they haven’t gone up either. Still, if customers have truly time-sensitive needs and require expediting, we can perform a manual expedite where we carefully look at every component and see where we can improve. In some instances, we have seen production lead-times go as low as three weeks. And during shortened design to production requirements, we have implemented a risk-buy strategy for components that have little to no design risk so that we can focus the expediting only on the smaller subset of components that require a prototyping phase prior to production quantities. Tooling cost is best separated into monochrome tooling and color tooling. Tooling cost for a complete monochrome design is about $6,500. This amount is very small when spread across 5,000+ units, especially when considering there is typically a cost savings from making the product more efficient when going custom. Tooling cost for a complete color design is about $80,000 with standard TN color TFT displays. On the higher end, a design with IPS could reach about $150,000. To note, typical order size for these types of designs double to 10,000+ units. But often the color TFT project will be Semi-custom, meaning that we use an existing LCD glass platform and then design a custom display around this standard glass. In these cases the tooling is significantly lower; in the $3K-$6K range. Unlike MOQ and lead times, tooling costs have decreased significantly over the past 5 to 10 years. Custom color TFT tooling was $500,000 a decade ago. Reasoning for this shift can be traced to the TV market. With standard sizes for TVs getting larger and larger (55”, 70”, even 85”), the TFT foundries also increased in order to support these large sizes. The older smaller TFT gen lines were then sold off to companies that support our small platform markets. Notably, PDI differs from many competitors with tooling in two ways. First, tooling is part of our process, whereas some display suppliers discourage it or avoid it altogether. Second, we’re flexible with how we charge for tooling. Some clients may not want to be burdened with the upfront cost of tooling; therefore, in some cases, we are able to amortize the cost. If you’re ordering in the mid-range volumes (5,000 to 100,000), custom will almost always be cheaper. That’s because an LCD display supplier that focuses on this market will be able to design in cost-saving opportunities. Since we are designing and manufacturing displays around what the customer is building, the display will be the right size, have the right features, and be better integrated for the end prodcuts manufacturing process. In practical terms, this means it will be easier to assemble and we can eliminate any redundancies like connectors, among other components, to eliminate waste and bring the cost down. In addition, whether the project is custom or standard, it’s essentially the same production process, the only difference is the standard product is already tooled up and ready to be built, the custom display requires the initial design and tooling phase. After that, the production process is identical. Therefore, there is no difference in production cost between custom and standard LCD displays. These are the most common myths we’ve discovered floating around the LCD display industry. Know that for small-format mid-volume applications, custom LCD displays are often the right (and less costly) solution.